Russia's military has deployed Murmansk-BN modern electronic warfare (EW) system in the annexed Crimea, which will monitor all the NATO ships in the Mediterranean, according to the Krym.Realii online media outlet. Murmansk-BN is a coastal electronic warfare complex. It performs radio reconnaissance, interception of enemy signals and their suppression throughout the short-wave range at distances up to 5,000 km. The system is mounted on seven trucks, Krym.Realii reports. Read alsoTrump outraged by Russian deployment of cruise missiles, vows to raise issue with PutinThe antenna system is mounted on four telescopic supports up to 32 meters high. The standard deployment time is 72 daylight hours. Notably, the aviation of the Black Sea Fleet of Russia was replenished by the Su-30SM squadron. The Verkhovna Rada of Ukraine has officially announced February 20, 2014, the date of the beginning of the temporary occupation by Russia of Crimea and Sevastopol. 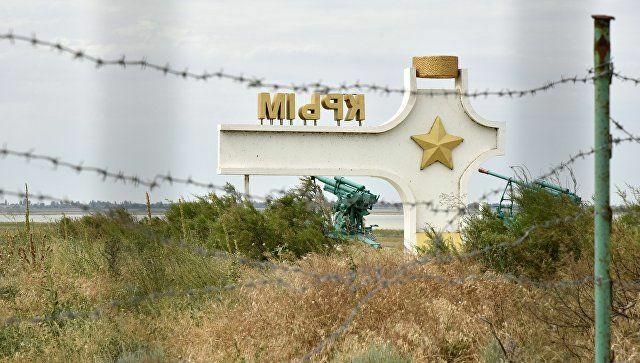 Ukrainian President Petro Poroshenko signed the relevant law on October 7, 2015. International organizations have recognized the illegal occupation of Crimea and condemned Russia's actions. Western powers have introduced a series of economic sanctions against Russia over its aggression against Ukraine. Moscow has been denying occupation, calling it "restoring historical justice."